Pakistan losing its war against terror? The Pakistani Government is in a dilemma now. Since years, it had been hiding, saving and nurturing these terrorists within its boundaries to be used as arsenal against its neighboring republic, it had been acting from behind the curtains and provoking anti-Indian mentality in the name of communal honor and retaliation. But the worst thing about conspiracy is, it ends one day and there’s a pay for it. Pakistan has always claimed that it’s soil has neither sheltered nor motivated any kind of terrorist activities, while India has been condemning this. The truth, however, is in front of everyone’s eyes now. Pakistan’s worst nightmare has come to life, its very own notorious child has now grown up and is now yearning to thrash its mother. Terrorism, undoubtedly, is a serious global issue that needs to be eradicated as soon as possible by strong and combined efforts. Why? Because it poses a serious threat to innocent human beings, growing economies and also ruins the lives of thousands of youth, who are given a gun in their hands and are taught to slaughter even before they learn to speak ‘Jihad’. In the last decade, the bordering areas of Pakistan’s North Waziristan have become the breeding grounds for Afghanistan-born Taliban and it’s terror-partners. And hence, understanding the face and state of terrorism in Pak becomes imperative. On one hand, Hafiz Saeed, the most wanted terrorist in India, receives extraordinary treatment in Lahore and POK, and on the other hand, the Pakistan army is attempting to destroy the Tehrik-e-Taliban and its Afghan allies. Isn’t this enough to reveal the double-face of the Pakistani intelligence and administration? The Inter-Services Intelligence (ISI) has since years, not only safeguarded, but also allegedly impelled LeT and JuD chief Hafiz Saeed to undertake terrorist activities in India and provide any kind of help or assistance to their Indian counterparts, namely, the Indian Mujahideen. Imagine, a 64 year old fugitive, wanted equally by India and the USA (Hafiz Saeed is already on NIA’s most wanted list and has a bounty of $10 million on his head), responsible for the 2008 Mumbai massacre, is living comfortably in his Lahore fortress and is regularly visited by top Pakistani Govt. and Security agencies’ officials. Not only that, he even holds a strong and respectable position in the society. Not to forget, despite strong and dense evidence against Hafiz Saeed, that the Indian Security and Investigative agencies submitted with their Pakistani counterparts, there hasn’t been any progress from Pakistan in the Mumbai terror attack case as they claim India failed to provide strong and dense evidence against him. Hafiz Saeed is precious to the ISI, there’s no doubt in that. Not only because of his anti-Indian sentiments, but also because of his crucial tip-offs, that led to the arrest and later rendition of top Al-Qaeda leaders like Abu Zubaydah, is Hafiz Saeed the apple of the ISI eye. A CIA source later revealed that they paid $10 million for Zubaydah. The ISI later built a new headquarters on 35 acres outside Islamabad with the money and also bought a helicopter. The Pakistan Army and ISI’s attitude and perspective is simple. Please note that despite receiving billions of dollars as American aid, Pakistan has failed to confront the Taliban or in that matter, any other terrorist group. It’s now high-time for Pakistan to learn a basic and universal lesson- Terror can’t be tamed. You can breed it, but you can’t control it. Terror knows no religion, no boundaries, no mother, it just engulfs. Terror is cancer. But most importantly, Pakistan should understand this fact that there’s no such thing like ‘Good’ and ‘Bad’ Terrorism. A terrorist doesn’t ask whether the person whom he is going to kill is Indian or a Pakistani. Be it any United Nations’ Conference, or the recent SAARC Summit, India has always taken a strong and stringent stand against terrorism and it’s provoking allies. Pakistan, on the other hand, has always moved out of the conversation by picking up on the Kashmir issue and pleading the Global leaders to interfere in it. 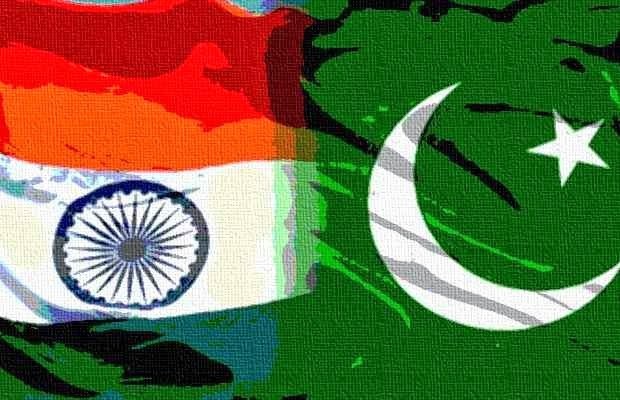 Hence, for the people who advocate democratic and conversational solutions to the rough Indo-Pak relations, it becomes important to understand that no conversation can be uni-directional. If Pakistan is intelligent enough to take a lesson from its own mistakes and is serious on demolishing terrorism, it will have to forget the differences it has had with India and join hands towards a peaceful and prosperous future for both the developing nations. After all, the bullet fired from the AK-47 of a terrorist knows no religion or nationality, and that’s why, be it India, Pakistan or any other country in the world, wherever it is fired at an innocent, God-loving human being, the blood that spills out is red. Indian Exponent: Pakistan losing its war against terror?